Unlock doors to new ways of perceiving the world in which we live. Studying French entails not only the mastery of the language, but also knowledge of the history, culture, and literature of France and the Francophone world. 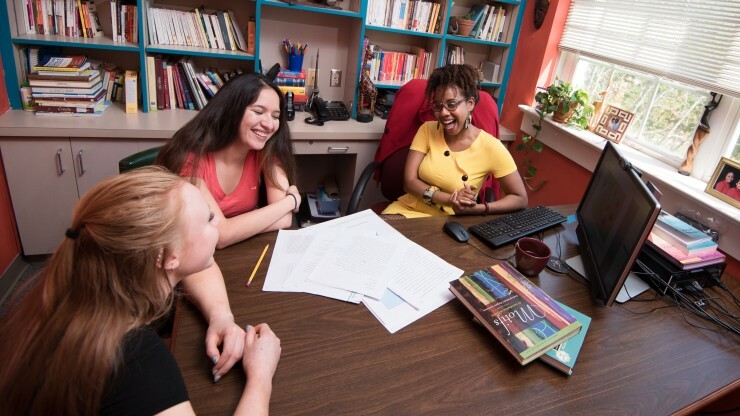 In the first years of study, students participate in several conversational labs as well as introductory language courses. Upper-level courses reinforce verbal and written skills in French. 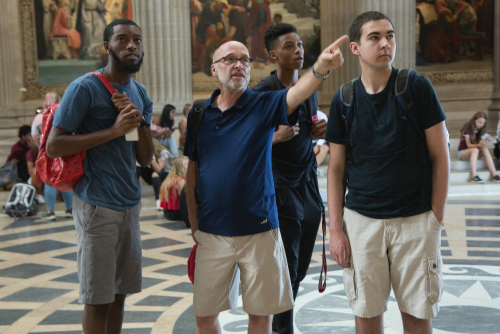 By exploring the language that continues to enrich and invigorate the French-speaking world, students develop skills of analysis, reasoning, and communication that will benefit them in their personal and professional lives. 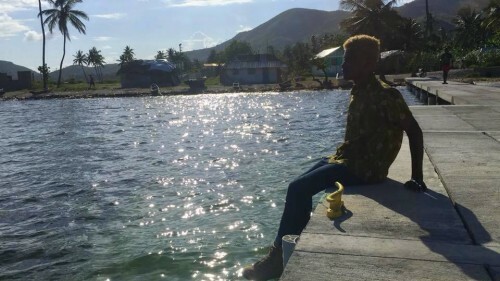 Students studying French are encouraged to spend at least one semester abroad at one of our sister institutions in Belgium, Paris, Lille, Guadeloupe, or Martinique. In addition, there are ample opportunities to study abroad with scholarships through the Council for the Development of French in Louisiana (CODOFIL). All new students can profit from Centenary in Paris as well as short courses (modules) offered in Haiti. 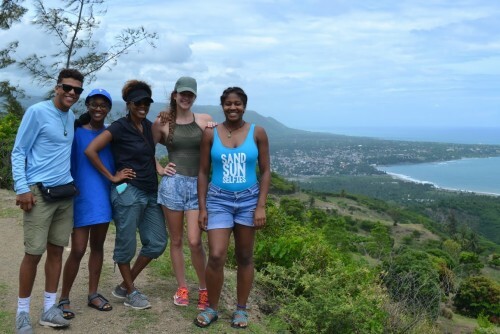 Students in Haiti during the "Haiti: Killing with Kindness" module. All faculty in this department are bilingual and have considerable experience abroad. In addition, all Centenary students are able to work at the College’s internationally acclaimed French-language university press, Les Éditions Tintamarre. The press is a collaborative effort among Centenary faculty and students. From the very beginning, students have participated in the project by transcribing manuscripts, editing text, designing book covers, creating page layouts, and conducting research with professors. Since Louisiana is the only bilingual state in the country (English and French), it is the perfect setting for students to study and participate in active learning through visits to other cultural settings. Centenary does a fabulous job of having diverse ways of incorporating French into our everyday lives. We can write an article, meet up with snacks and talk only in French, speak French in Le Quartier Français, and much more. You're not only getting French in the classroom but also where you eat, where you sleep. I love French at Centenary, it has definitely left a positive impact on my life. The goal of Le Quartier Français is to increase oral proficiency in a fun and relaxed environment. 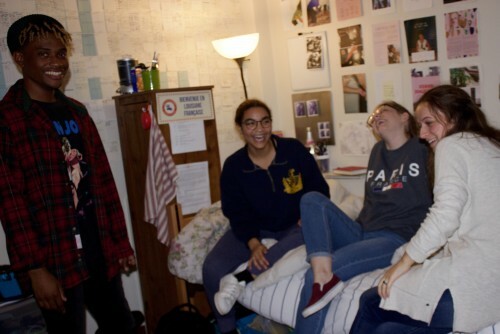 Students live together in rooms in James Hall West and are guided by a live-in native (or near native) speaker that includes exchange students from France and Residence Advisor. The French curriculum offers a variety of classes to master the language and learn more about French culture and history. 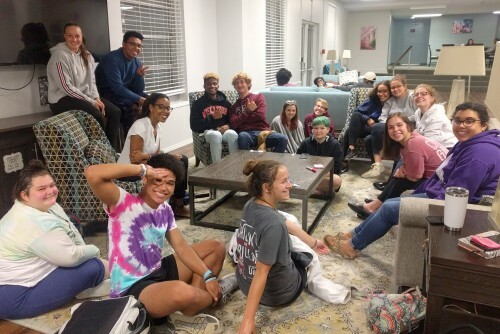 French Table meets each Monday night in James lobby at 8 PM! Students can work on their language skills and participate in special events such as crepe night and movie night! At Centenary the French department has a multitude of events on and off of campus and programs that allow students to work on their French. French foreign exchange students are always usually present every semester and that allowed me an opportunity to make friends who, after some time, convinced me to learn French as a second language. Since then I have traveled to several French countries such as Haiti, France, and Belgium which have all been because of my time at Centenary. I've always wanted to learn multiple languages and being at Centenary has made my pursuit of French a culturally rich and exciting experience. 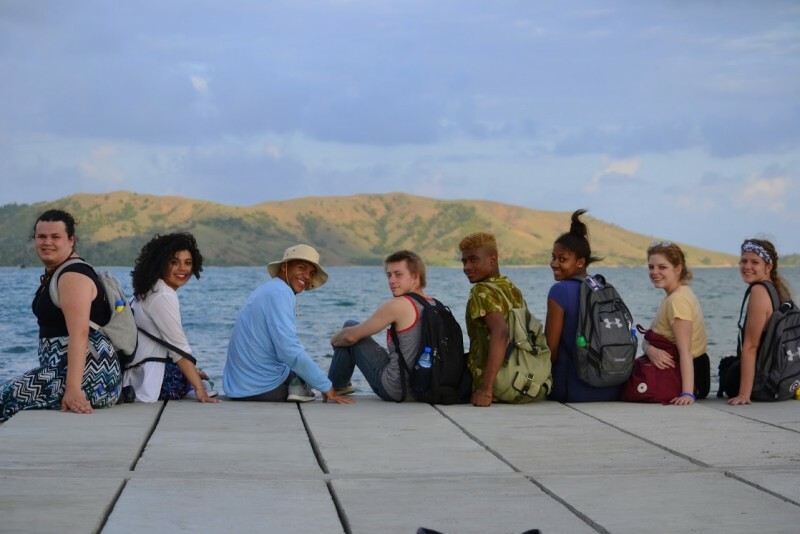 Studying abroad allows students to experience cultures firsthand.